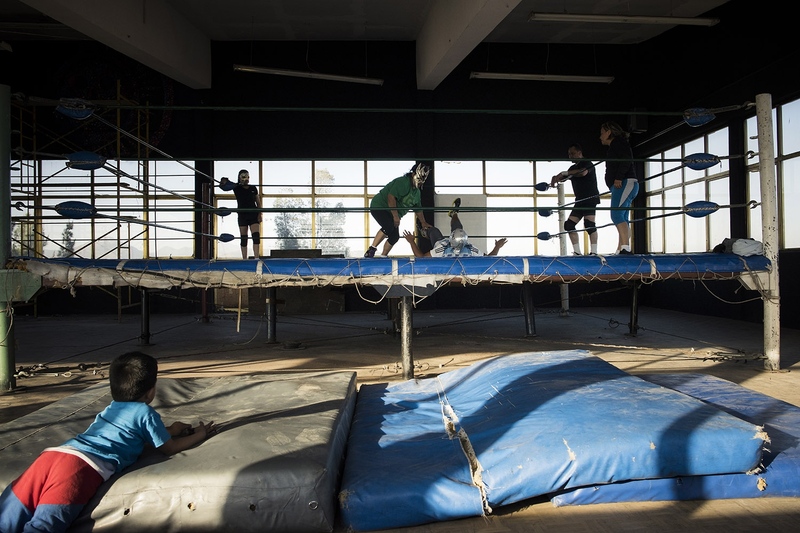 wrestling developed in the country. nowadays there are several girls trying to make a career in the ring. the bigger companies in Mexico. defend themselves and ended up travelling the world in a very unexpected way. But fighting is not just their big chance to travel, know the world and achieve a better life. 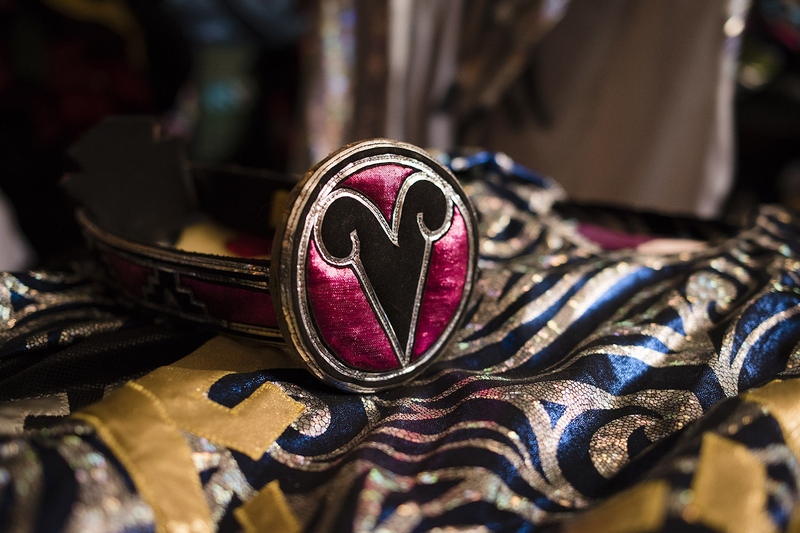 they are also fighting for more rights, both in Mexican society and inside the ring. 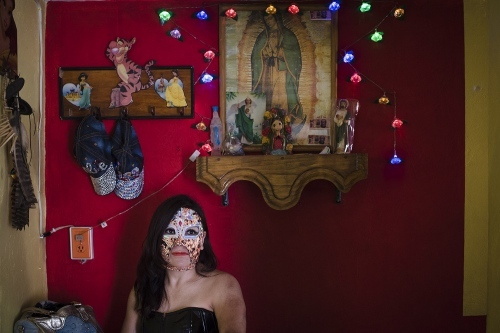 contributing factor in the high rates of violence against women that Mexico is experiencing. Xenia, this is her wrestler name, is posing in her house. to get out from that marriage and get back on the ring. Xenia preparing herself before wearing her mask, her real identity is hidden. A child is watching his mother's training in a Mexico City's wrestling gym. Andromeda posing during her training in Ciudad de Mexico. She was drug addicted and was an homeless since the age of 13, the fight saved her life. She started in a recovery centre to learn how to defend herself. She said that it’s very difficult to get taken seriously and get the same recognition men get. 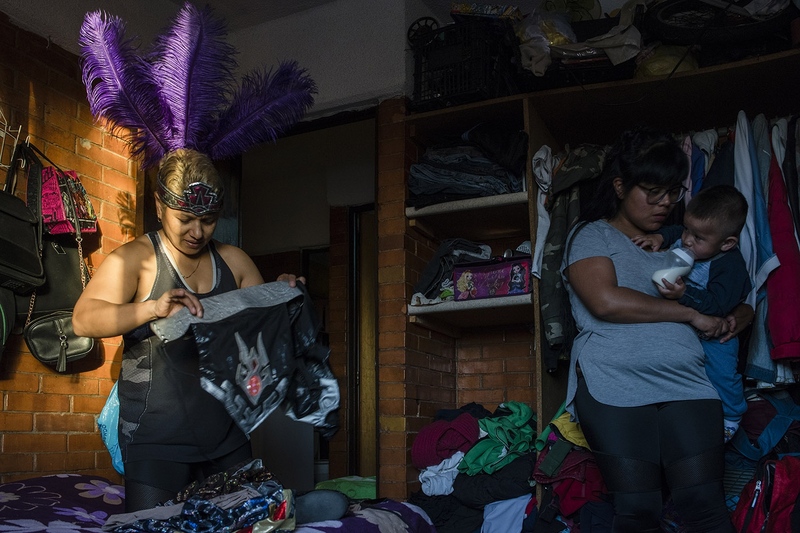 Mitzy and Andromeda training in Ciudad de Mexico. really hard, they train really hard, and they suffer a lot. Mitzy is preparing to fight with Andromeda. Fighting is her big chance to travel and know the world. about her when she's having a match. Juliza meeting with her collegues at her house, to train, orginize the next fights and share new tricks. Her doughter is at home with her son, so Juliza, a part to be a wrestler woman is also a grandmother, and a pharmacist. She is 38 years old. Mitzy' posing with her wrestling costume in her room. Mitzy is her wrestler name, it means "queen of narrows". to her, "it's such an adrenaline, it makes you addicted”. people in the same house. 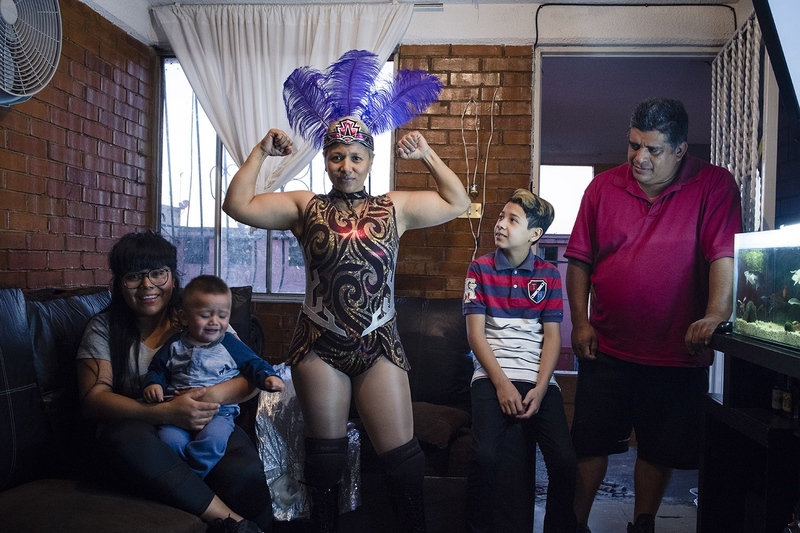 Backstage of a wrestling show, November2017, Mexico City. Arena México is an indoor arena in Mexico City, primarily used for professional wrestling, or lucha libre. 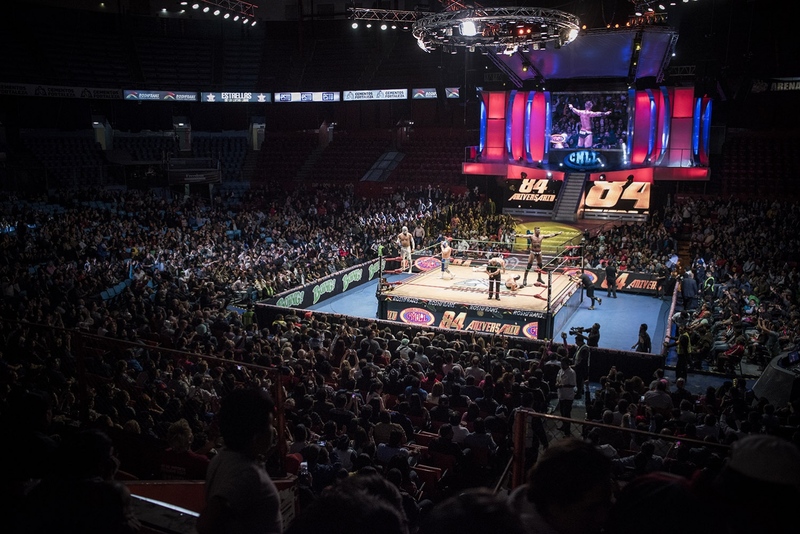 Its shows are promoted by Consejo Mundial de Lucha Libre (CMLL). The building is called the "cathedral of lucha libre". Arena México has a seating capacity of 16,500 when configured for professional wrestling or boxing events. Twice a week it's always jammed with people assisting to the wrestling show .